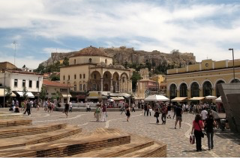 Athens is one of the most interesting European capitals, filled with juxtapositions of new and old, east and west. It is at once cosmopolitan and marked by its extensive history, and on the other hand extremely populous and full of contradictions. One thing is obvious to all travelers: its warm and hospitable people. Once visited, it quickly becomes your home. Athens is the historic capital of Europe as it has been inhabited since the Neolithic Era. Through the course of its long, fascinating history, it reached its zenith in the 5th century B.C. (the “Golden Age of Pericles”), a period when its values and its culture crossed the geographical borders of the city and spread worldwide. Political thinking, theater, arts, philosophy, science, architecture and so many other human intellectualities reached their zenith in a unique time coincidence and spiritual completion. 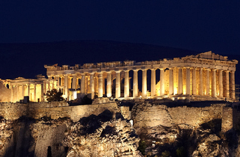 Hence, Athens became the core of western civilization, while many Greek words and understandings such as democracy, harmony, music, mathematics, art, gastronomy, architecture, logic, Eros, euphoria and many more, enriched various languages and inspired different civilizations. One of the richest museums of ancient Greek art in the world, its collections span cultures that flourished in Greece from the prehistoric age and beyond. 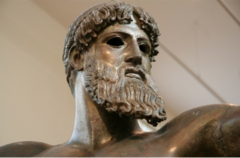 A bronze statue of Poseidon is here as are frescoes from ancient Thira. A comprehensive museum that is often overlooked. Take a road trip to the southernmost tip of Attica for a breathtaking drive along the coastal highway and you are rewarded with a visit to one of the most fascinating temples in ancient history. 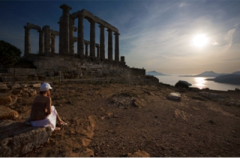 It is no wonder that the ancient Greeks built the temple to their sea god Poseidon here in Sounion. Situated on a plateau on the top of a cliff it welcomes ships and sailors even today. Visit the official site of Greek National Opera and find out the program. Visit the National Theatre’s site and find out the current theatrical plays. Athens has a full calendar of festivals throughout the year. -Epiphany: 6th of January. Sea water is consecrated in the area of Piraeus. The priests throw the Cross into the sea and young men dive to catch it. -Ash Monday: 41 days before Easter. It is the day people begin the Lent. On Ash Monday Greeks fly kites, eat meatless food and celebrate Koulouma. 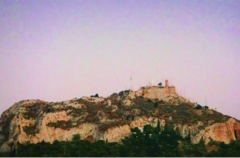 Athenians gather on Philopappou Hill. –Independence Day & Celebration of Evangelismos: 25th of March. Military parade. –Easter: From Holy Friday until Easter Monday. On Holy Friday evening every church decorates the Epitaph (Bier of Christ). During the procession of the Epitaph the streets of every city or village in the country are full of people. It is a religious procession where everybody holds lit candles in their hands and sings hymns. -Night of the Resurrection: It is celebrated in midnight before Easter Sunday with fireworks and candles. -Easter Sunday: On Easter Sunday Greeks eat barbecue lamb. The celebrations include singing and dancing all day long. –Labor Day: 1st of May. Flower feasts all around Athens. -Pentecost: It is celebrated 50 days after Easter. -Assumption of the Virgin Mary: 15th of August. -28th of October: National Celebration. Military parade. Cultural events including dance and theater, recitals, concerts, conferences, public lectures, gallery exhibits, sports events and marathons are an integral part of the cosmopolitan capital. 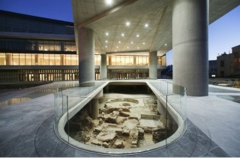 The National Theatre of Greece at Pireos st., stages drama performances in modern Greek with English translations provided. The Odeon of Herodes Atticus, is a stone theatre structure located on the southwest slope of the Acropolis of Athens. It was built in 161 AD. 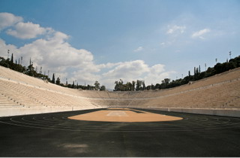 Today it provides one of the most important open-air venues and stages the annual Athens festival. 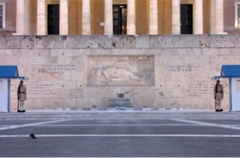 Megaron, the Athens Concert Hall is situated on Vasilissis Sofias Avenue, next to the American Embassy. The Megaron Hall hosts operatic, dance and drama performances in two halls. The Ancient Theatre of Epidaurus is situated within the archaeological site of the Sanctuary of Asclepius, in the Argolis prefecture of the Peloponnese. It is a half-hour drive from the city of Nafplion and approximately two hours from Athens. Athens International Airport – Eleftherios Venizelos. Find rooms and appartments to rent in Greece. 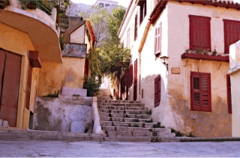 DISCLAIMER: This information in this page is derived from the official site of the Greek National Tourist Organization http://www.visitgreece.gr/ and the official website of the Municipality of Athens for tourist information http://www.thisisathens.org/. The EPLO is just reproducing the information that appears in those sites. For more official and updated info please visit them accordingly.